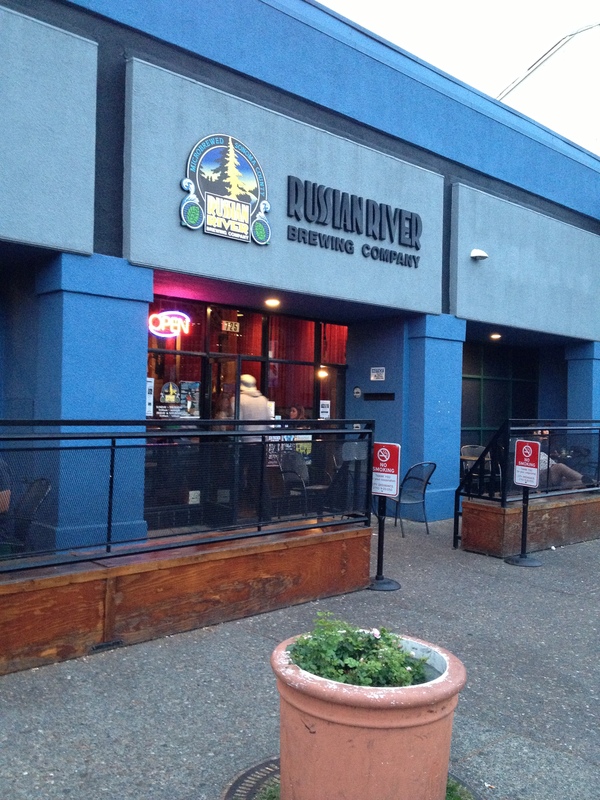 Tag Archives: Russian River Brewing Co.
It’s that time again where people gather to reflect back on the year that is passing and to look forward to what the future will bring. 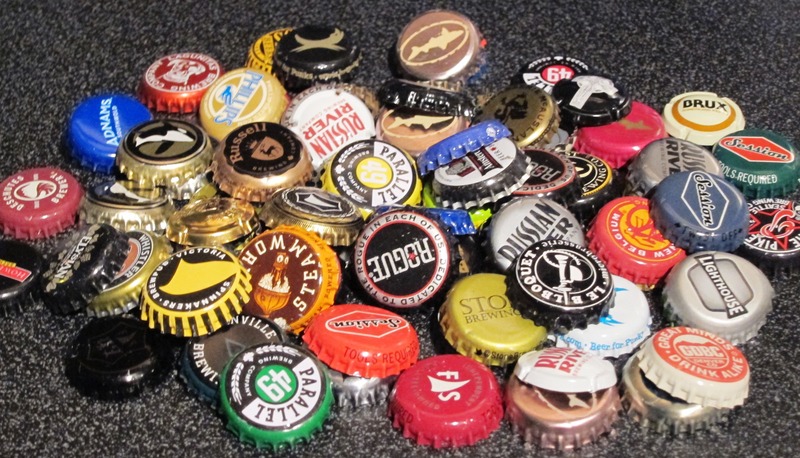 For craft beer aficionados it feels like the bubble will never burst. Just when you think the seemingly insatiable growth of the craft beer industry may be leveling off a new brewery sets up tanks, a new tap room polishes its’ taps, a new beer festival celebrates an emergent style, a new hop farm plants a rhizome, a long-forgotten beer style is revised and revamped and a new beer blogger offers up their thoughts to the universe. 2013 was an enjoyable year in beer for me. 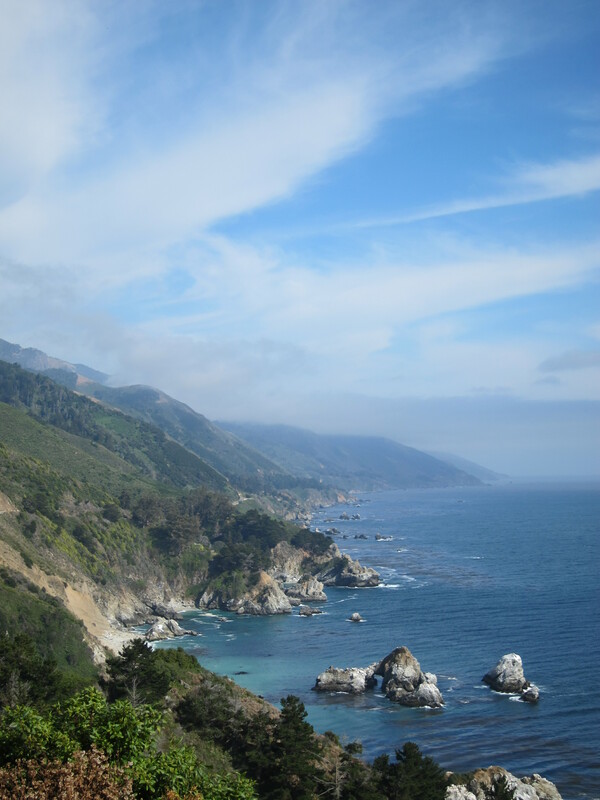 I went to a few of my favourite beer festivals, I visited some new local breweries here in British Columbia and in Washington, I took a road trip to California, which included brewery visits of course, and I tried some very memorable beers. 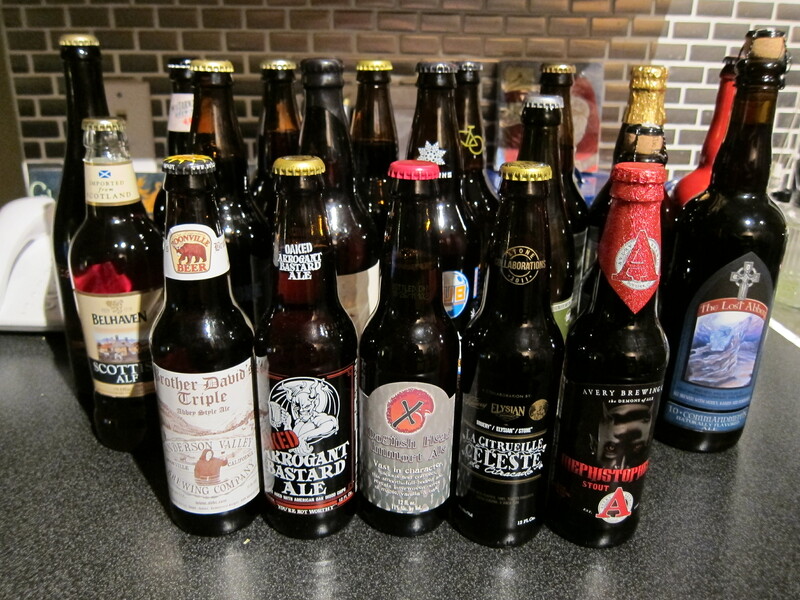 Also, this year I really tried to focus on quality over quantity when it came to my craft beer choices. For awhile the market was small enough that you could (reasonably) try each and every new thing but this is no longer realistic. I have been sampling my way around long enough to really know my own palate or I know what I like dammit so why not invest in what I enjoy. Visiting Russian River Brewing Company – I had put Russian River on a pedestal for so long I knew my visit could never meet my expectations; nonetheless it was so worth it to sit down in front of the massive sample try and enjoy some of the world’s best beers on tap in the place where they were born. Discovering The Bruery – This year saw me introduce myself to what just may be one of my all-time favourite breweries. Focusing on barrel aged creations, The Bruery really caught my attention with Tart of Darkness a sour stout. Any brewer that can successfully merge these two stellar beer styles deserves our devotion. Drinking a Manhattan – The beer that really blew me away this year came from a very reliable source, Cascade Brewing in Portland, OR. An amazing fusion of sweet, rich cocktail meets sour beer made this a beyond memorable brew. Pulling into Elizabeth Station – This little tap room that can in Bellingham, WA has become a must visit every time I am cross-border shopping. An incredible bottle selection accompanied by a well thought out tap list. Out of Province Beers – I had the chance to sample craft beers from Prince Edward Island, Ontario and Quebec that never make there way out to BC and it is always fun finding something new that none of the local beer geeks have got their hands on. 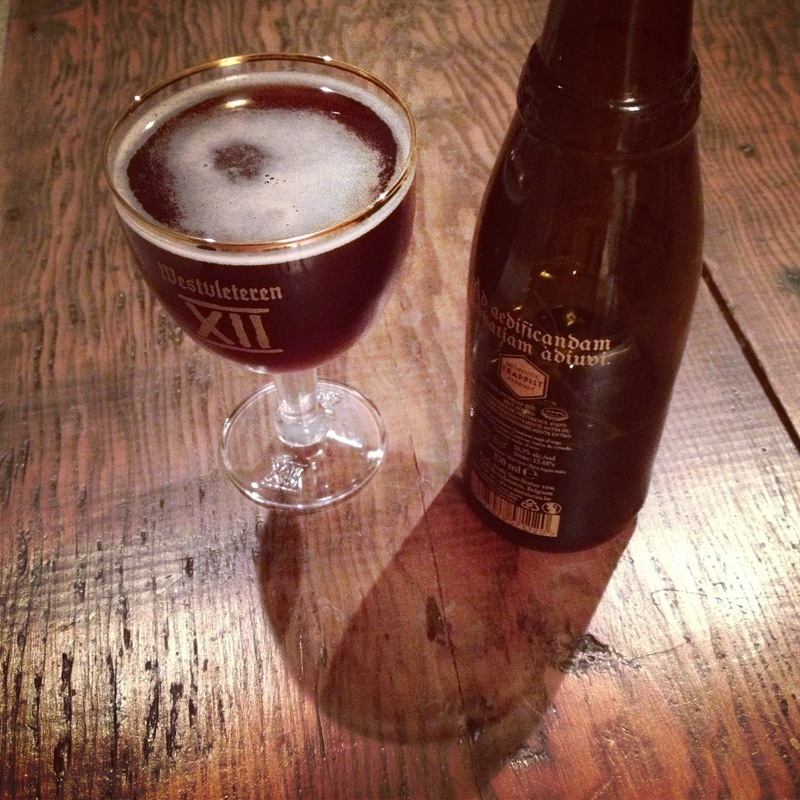 Tasting the Best Beer in the World – Unintentionally stumbling across a case of Westvleteren 12 at a local liqour store meant I could finally see for myself what all the hype was about. The best? Maybe not definitively but pretty damn amazing that’s for sure. 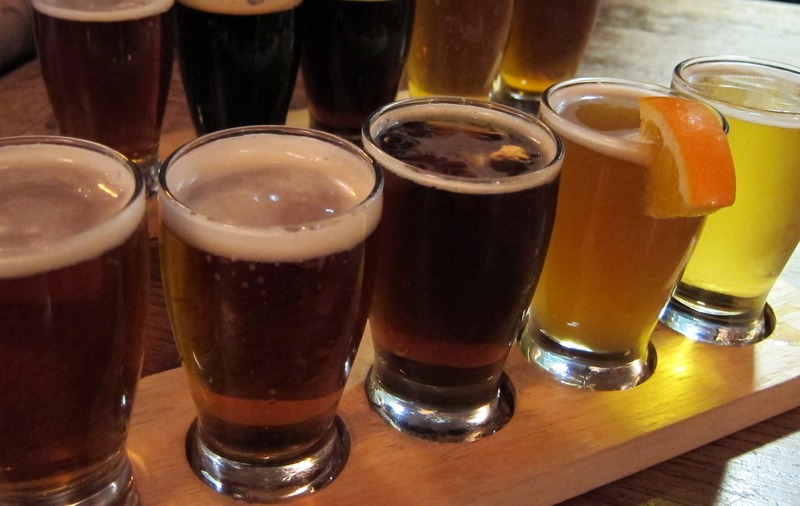 Blogging about Beer – Always a highlight coming up with topics of interest and subjecting fellow beer geeks to my personal views on whatever comes to mind. Some of my personal favourite posts were Four Word Beer Reviews, Putting the “I” in Beer Review, Decoding Duchesse and Re-Inventing Rodenbach, The Art of the Beer Label BC Edition, Out of the Cellar and finally, Beer with (insert current foodie fad). Looking forward to another big year in beer. Happy New Year! I recently returned from my road trip to San Francisco and while the primary purpose of my vacation was to (finally) marry my handsome and charming boyfriend, as any self-respecting beer geek would do I also planned to fit in lots of brewery visits and craft beer sampling along the way. California is one of those states blessed with a disproportionate number of amazing breweries and, more importantly, it is the home of my all-time favourite brewery Russian River Brewing Company located in the historic town of Santa Rosa (also the birthplace of Charles Schultz). To me, getting the chance to visit Russian River was akin to some sort of pilgrimage and needless to say my expectations were sky-high. I even wrote an open love letter to the brewery but alas they never responded. For anyone who may have been living under a rock, in a cave, on a deserted island, Russian River Brewing Company creates some of the most memorable belgian beers (read barrel-aged sours) and IPA’s in the world. Beer for beer, Pliny the Elder, Supplication and Temptation may just form the triumvirate of just how good beer can get. The time and craft that goes into creating these beers painted a picture (in my mind) of the type of tap room and brewery that produces such wondrous libations. So did the real live Russian River retain its’ cherished place on the pedestal when I visited? Well, no. Granted I did visit the pub on Cinqo de Mayo, but it felt kind of like visiting Boston Pizza loud, busy, full of pretty drunk patrons, lots of crazy crap on the walls, given a blinking coaster to signal an available table. Now to be clear I am not a complete fossil who wants to sip and spit from champagne flutes whilst I sit in a cellar full of oak barrels BUT I did kind of expect an environment where people paid more attention to the beer that was served up in their pints. The wait staff did not seem keen to chat beer and while they served up flights with great presentation you were kind of left to do your own thing. At the very least I expected our server to follow-up on this massive flight to see what we liked or did not like. Concerned that the boisterous college crowd may have coloured my first perception we returned the next day in the morning to pick up some bottles. Oddly enough it was already full of early morning drinkers and once again getting beer from the bartender was more of a chore than any sort of interaction i.e. most staff just walk by you while you try to get someone’s attention. I am not really sure what I expected but somehow I expected more. Baby, why are you so Sour? Somewhat contrary to my fellow beer geeks, when I first started exploring craft beer one of the more challenging styles quickly emerged as my favourite and that style is soured beer. I know this category of beer is not everyone’s ‘cup of tea’ and in fact many people are initially turned off by the often over-powering tartness of a gueze or an oud bruin but if you think you are not a fan of wild ales you really do not know what you are missing. Sour beer is technically not a style in and of itself, rather it is a process of using bacterial infection to impart tartness while fermenting and/or beer, as such under this broad category there is a range of flavours and, well, sourness from sweet and fruity lambics, to the deep and rich sour brown ales, to the accessible Flanders red ales, to the straight lambics, which offer no apologies for their tart kick. Historically, lambic beers (a style of beer brewed with aged hops and a high proportion of unmalted wheat) were spontaneously fermented. That is to say you basically do the opposite of everything you learned in homebrew school and intentionally infect your wort with some of the many microscopic critter floating around in the air. The different resultant bacterial infections all work to ferment the beer while it ages in wooden barrels (the wooden barrel being a natural haven for microbes). Ensuring consistency is near impossible for the sour beer brewer so the resultant batches are blended to achieve the desired tartness levels. According to Mosher in Tasting Beer, when Lindemans expanded their brewery they took a portion of their old wall and bolted it in their new building in order to preserve their signature mix of beneficial bugs. In modern times, the souring of beer is less by chance i.e. opening a window and hoping for the best but really not by much. 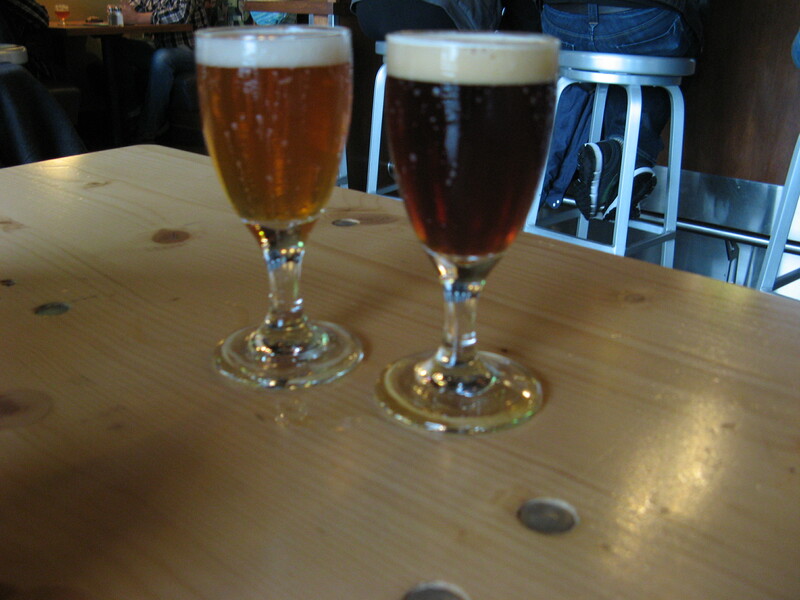 Bacterial agents like lactobacillus, brettanomyces and pediococcus are systematically introduced to the fermentation process; however, the outcome remains somewhat unpredictable and the time commitment to brew a sour beer is significant compared pretty much any other beer style think years versus months. Blending remains the most viable means to ensure the sourness of your beer is at a level that is drinkable. Once the sole domain of dedicated Belgian brewers devoted to the art of brewing sour beers, wild ales are carving out an impressive niche in Europe and North America. Russian River, Cascade Brewing, Jolly Pumpkin and Epic Ales are all making a name for themselves in pursuit of excellent sourness. A little more north Oud Bruin from Yaletown Brewing Company and Driftwood’s Bird of Prey Flanders Red are showing Canadian brewers are also getting on the sour bandwagon. 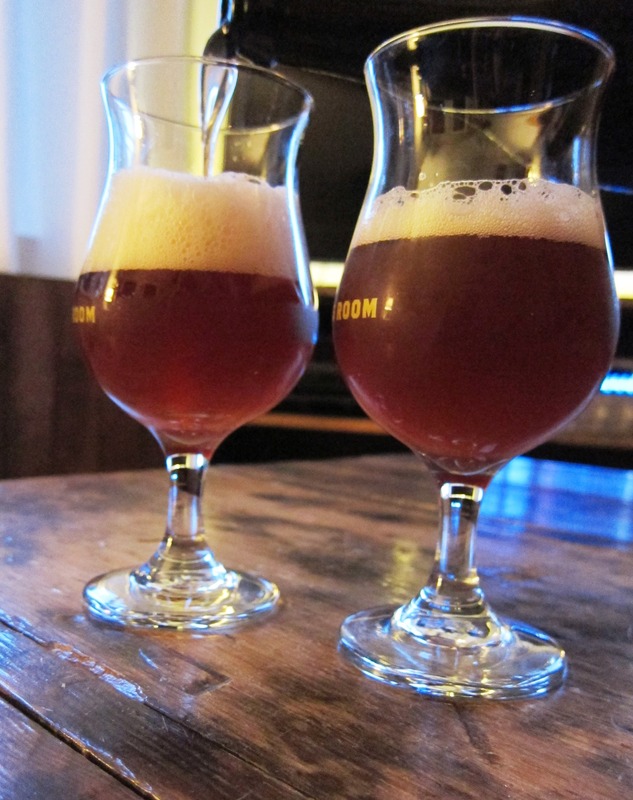 Is sour beer the next big thing in the craft beer world? Well, not to self-promote (too much) I have to say I saw this one coming for quite sometime now. 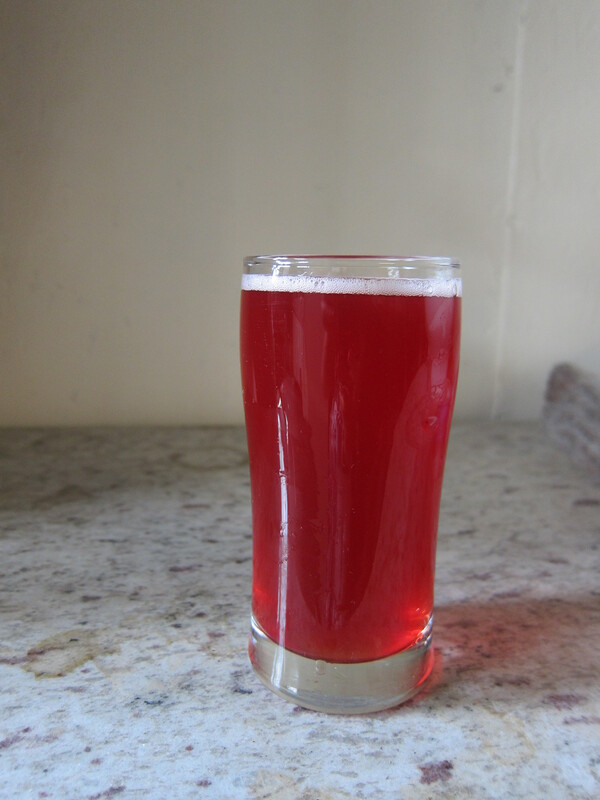 I even wrote a post called ‘Love is a Sour Delight’ back in February of 2011 espousing the wonder that is sour beer. If you require further confirmation, you just need walk into any decent beer store and observe the number of barrel-aged, wild and wine-blended beers now on the market. As we move into warmer weather I urge my fellow beer geeks to crack open a bottle of sour beer on a warm summer night and tell me this isn’t one of the best affirmations they have ever had that craft beer will one day rule the world. 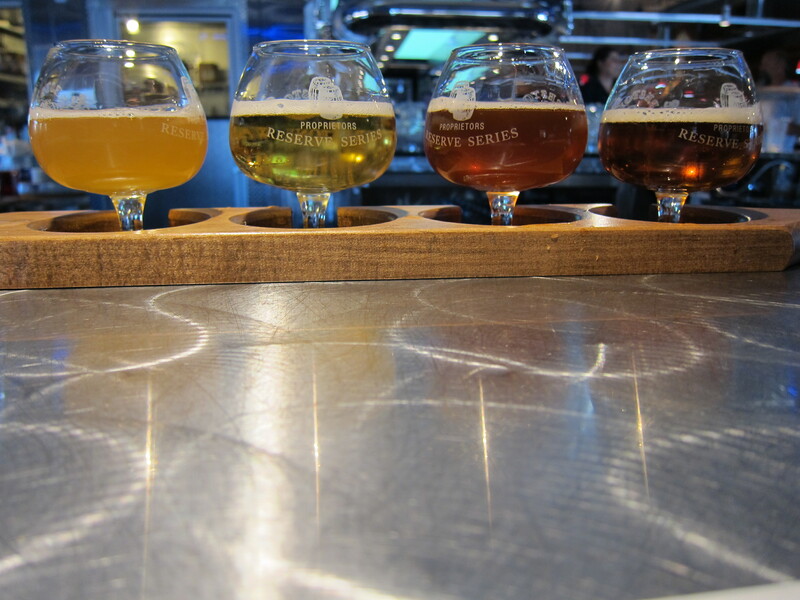 Sometimes when you travel finding a source of great craft beer is a no-brainer, this is true if you go pretty much anywhere on the west coast of North America or say Belgium but sometimes if can be a little bit more challenging to locate your next beer fix. Oddly enough the latter description applies to Sin City. Yeah I know it’s kinda ironic that the capital of overindulgence is not resplendent with gushing craft beer fountains and tap houses on every garish block but hey that’s what you’ve got me for right? The beer geek that plots her beer routes on the map before landing in the desert. I always have a few beer priorities when I am travelling. First, finding a store that sells lots of great beer so I can stockpile bottles for my hotel room mini-fridge; second, locating a place I can go to grab a decent pint and third, staking out that oh-so-elusive eatery that allows me to both drink great beer and eat great food. So what did I find in Vegas? Probably the most important time-saver I can think of is to constantly repeat the mantra that the Strip is basically a giant corporate marketplace sponsored by the big macro-brewers – if you love Bud Light with Lime you’re golden otherwise you’re boned. Granted you may find the odd craft beer sprinkled here and there at a Walgreens but if you are serious about having a decent bottle selection on hand head south my friends, head south (and don’t stop until you get to Town Square). A quick cab ride from Mandalay Bay will get you to the local Whole Foods or as beer geeks know it Old Faithful. 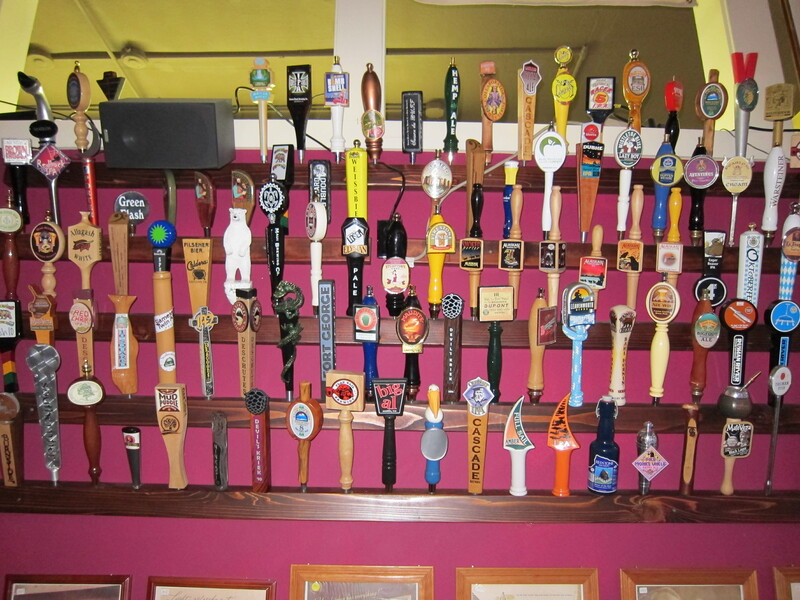 Here you will find all the craft beer your heart desires, at reasonable prices, and in sixes or twelves to boot! 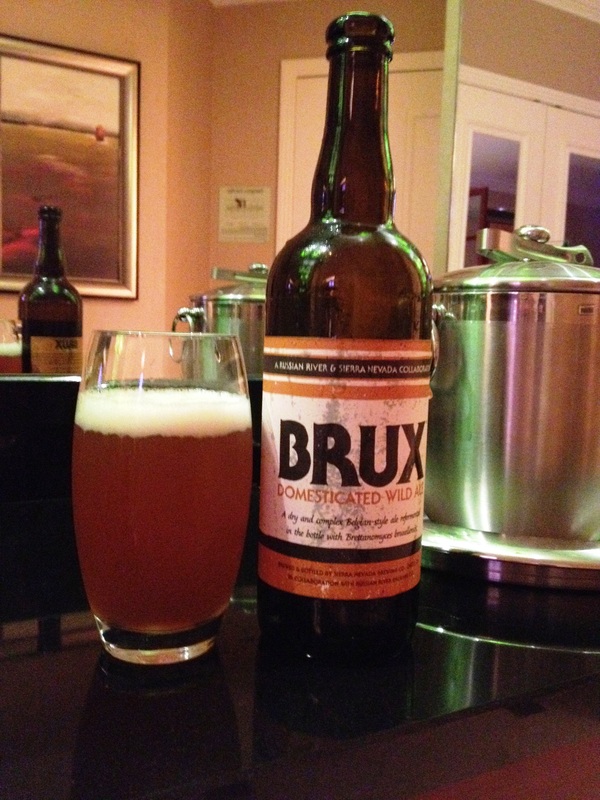 Brux Domesticated Wild Ale from Sierra Nevada Brewing Co. and Russian River Brewing Co. – Deep amber gold ale with lots of sediment and tons of stiff white head. Super yeasty and earthy on the nose with that barnyard element coming through on the nose, flavour and finish. Straight forward live beer with no flavour embellishments. This could be a challenging beer for some since bacteria-laden brews can be an acquired taste but I have to say this one worked for me. 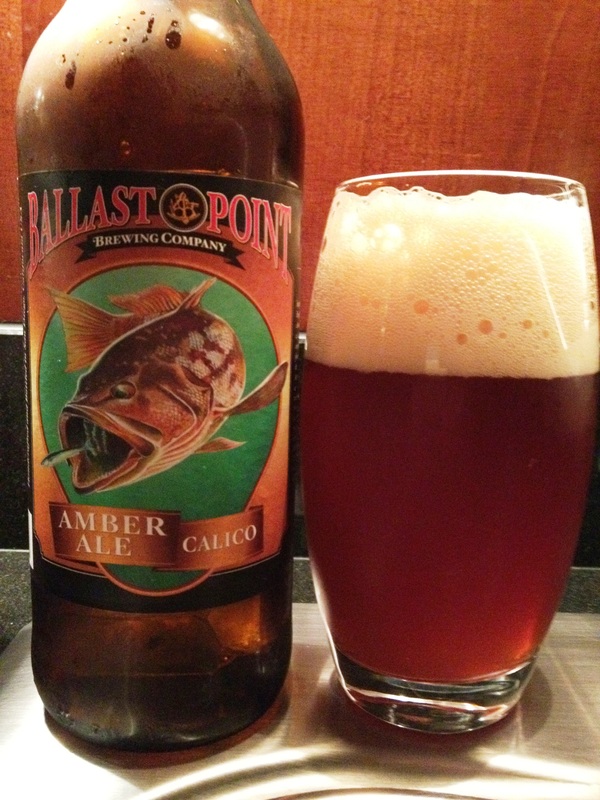 Calico Amber Ale from Ballast Point Brewing Company – Deep amber to brown in colour with a ton of cream coloured head. Quite hoppy on the nose, but well-balanced flavour wise with lots of malt coming through and a nice smooth mouthfeel. Very clean and smooth to drink. Not remarkable but a good beer all-in-all. 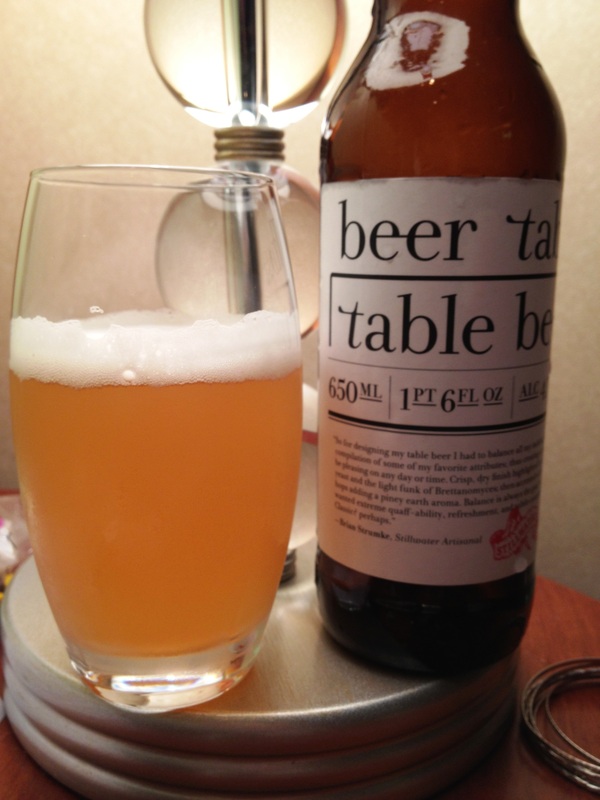 Table Beer from Stillwater Artisanal Ales- I love the concept; an analogue to a table wine this table beer is a blend of various styles to make a versatile go-with-anything brew. Very pale gold in colour, slightly cloudy with bright white head. Hoppy on the nose, bitter on the finish. Flavour wise I would say this is most comparable to a Pale Ale. Overall, I think they met their goal of making an accessible and easy beer that most anyone could drink. 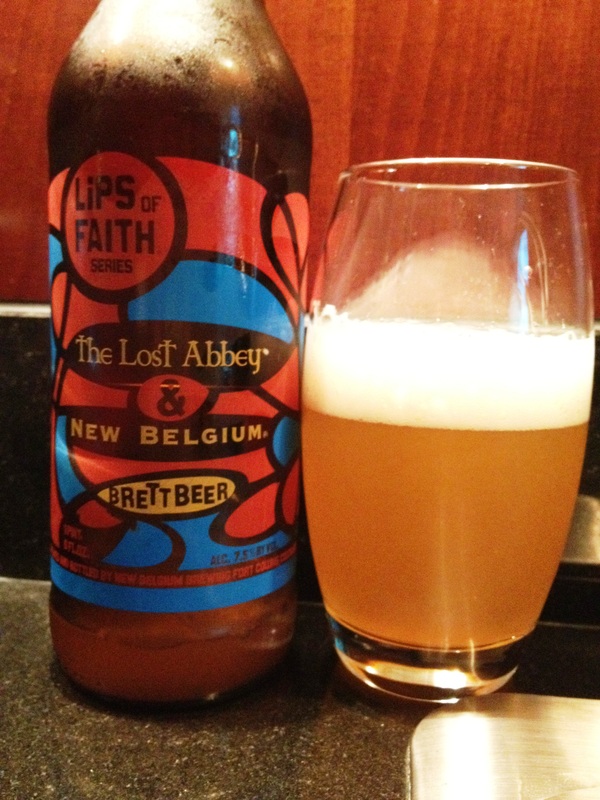 Brett Beer from New Belgium Brewing Company and The Lost Abbey – “We got the funk”. Hoo boy, a cloudy gold coloured beer with lots of head, tons of sediment and that fresh-from-the-farm aroma. As the name suggests this is a bacteria bomb; a wild ale that is earthy and sour in flavour. Another challenging brew but if you are open to pushing beer boundaries this is one to try. 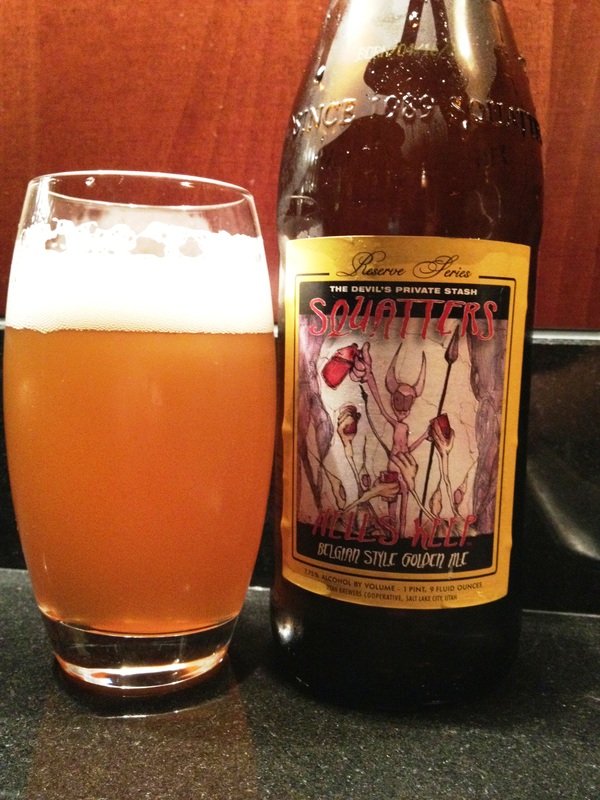 Hell’s Keep from Squatters Salt Lake Brewing – Deep golden colour, lots of bright white head and sweet malt on the nose. Fairly light-bodied beer, malt heavy in the profile with a bit of an earthy aftertaste. An easy drinker for a Belgian. Other options include, getting growlers filled at local breweries like Tenaya Creek or Sin City Brewing Co. Or checking out Lee’s Discount liquor for a decent selection of craft beer (I did not get a chance to get there myself but the bartender at the Freakin’ Frog recommended it). The Freakin’ Frog will also sell you bottles out of their impressive fridge but you won’t be paying retail prices. In all things in life from music to film to literature there are a few rare creations that manage to transcend boundaries uniting even the most disparate of critics in the belief that something truly exceptional has been created. For those in the know, these incomparable objects become a kind of secret handshake welcoming members into an exclusive cult comprised of those who have heard, seen, read and tasted. 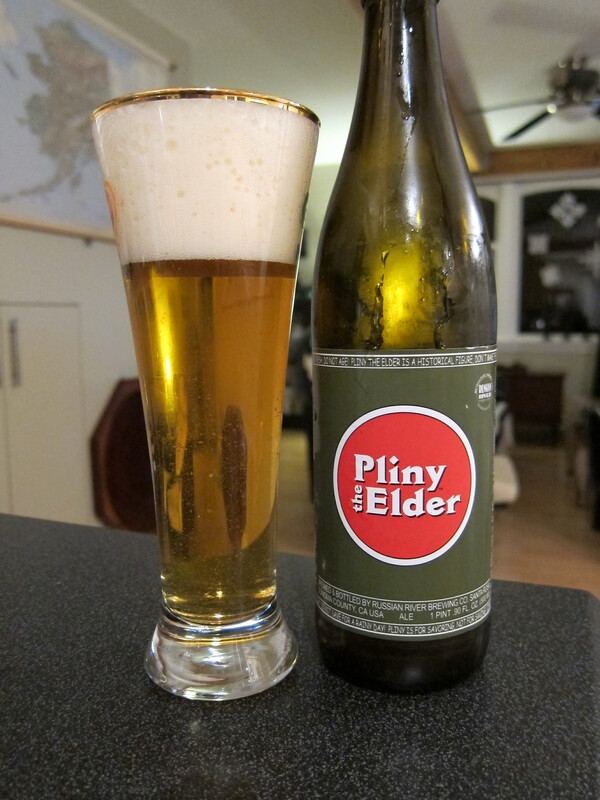 While I think the phrase “best beer ever” gets tossed around a little too liberally Russian River’s Pliny the Elder may just be the one beer that warrants that title. My affair with Pliny got off to a tumultuous start when an enthusiastic Whole Foods employee informed me he had something special in the back. Curious, and slightly relieved, he came back with a bottle of Pliny the Elder and the caveat that they do not sell Pliny to just any passing beer geek. In fact, you have to ask a worker to retrieve bottles from their ‘reserve’ in the back room. Back in my room that evening, I became quite distressed with the pine notes emanating from the nose of this beer and in my most eloquent assessment I exclaimed that it tasted like a pine air freshener and passed the remainder of the bottle to my partner to finish. So began (and ended) my relationship with IPA’s. Several months later, and with many more craft beers under my belt, I was back in Portland, OR and I knew it was time to revisit the Pliny. After another go at the circuitous method of obtaining Pliny from Whole Foods I was once again facing off with a bottle in my hotel room but this time I was ready. Armed with a great deal of hop experience, I realized just how perfect this pine dominant ale truly was. This double IPA is golden and clear with tons of white head. Dominant hops on the nose and in the flavour; it is light in body, very crisp and has a relatively high ABV, which compliments the bitterness. Fantastic in the bottle and transcendent on tap; I never tire of this beer. According to the information on the bottle label, Pliny the Elder, born in 23 A.D., was a Roman naturalist, scholar, historian, traveller, officer and writer. Pliny, and his, contemporaries, created the original botanical name for hops, Lupus Salictarius, meaning wolf among the scrubs. Hop vines, at that time, grew wild among the willows, likened to wolves roaming wild in the forest. 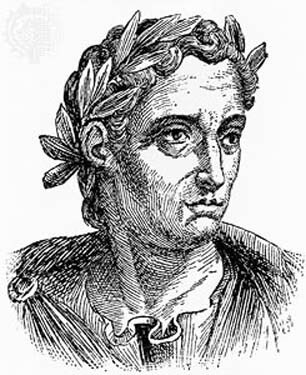 Pliny the Elder died in 79 A.D. while saving people during the eruption of Mount Vesuvius. 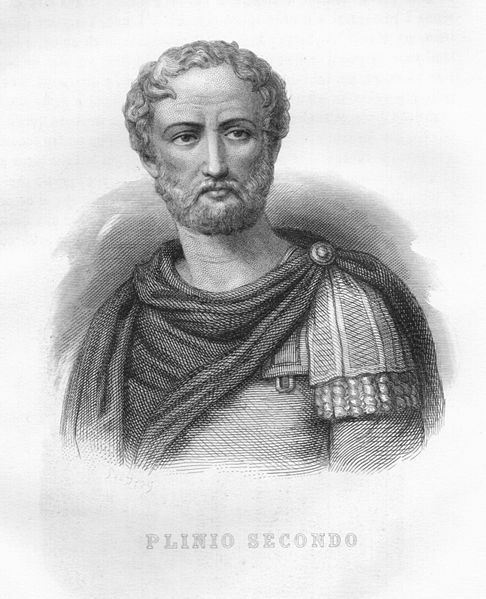 He was immortalized by his nephew, Pliny the Younger, who continued his uncle’s legacy by documenting much of what his uncle experienced during the eruption of Mount Vesuvius. This beer is an homage to the man who discovered hops and perished while being a humanitarian. The Russian River Brewing Company describes this beer as an almost a true Triple IPA with triple the amount of hops as a regular I.P.A. That said, it is extremely difficult, time and space consuming, and very expensive to make. And that is why we don’t make it more often! This beer is very full-bodied with tons of hop character in the nose and throughout. It is also deceptively well-balanced and smooth. Pub draft only, VERY limited distribution locally and to distributors on draft only, seasonal- released at our pub the first Friday of February and is available for just 2 weeks, available at select accounts during February. 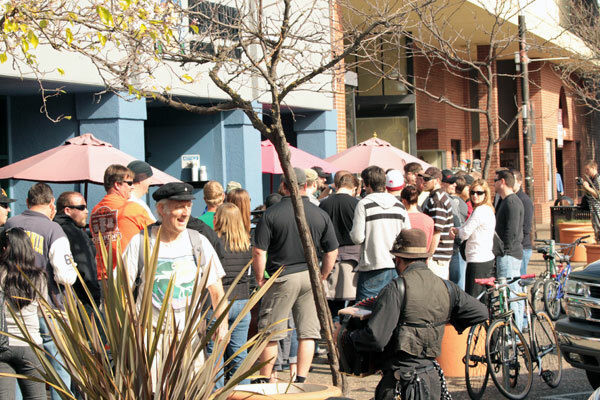 This beer has become the stuff of legend with people lining up by the hundreds just for the chance to sample Pliny the Younger while it lasts. Don the Younger is a sessional IPA brewed in memory of publican Don Younger who owned the iconic Horse Brass Pub in Portland, Oregon, for nearly 35 years. Last year Don asked Russian River to make a beer for the Pub’s 35th Anniversary Party. He asked for a hoppy, low alcohol session ale, and he wanted us to call it “Don the Younger”. Sadly, Don did not make it to the party at Horse Brass but they honored his wishes and made his beer for the Horse Brass 35th Anniversary anyway. Don the Younger was available for toasting at the two pubs. By the will of the beer gods I happened to be in Portland when this beer was tapped and like all the IPA’s in this series it did not fail to disappoint. Bright and crisp with the signature resiny hop profile, Don the Younger was extremely drinkable and an amazing homage to the memory of Don Younger. 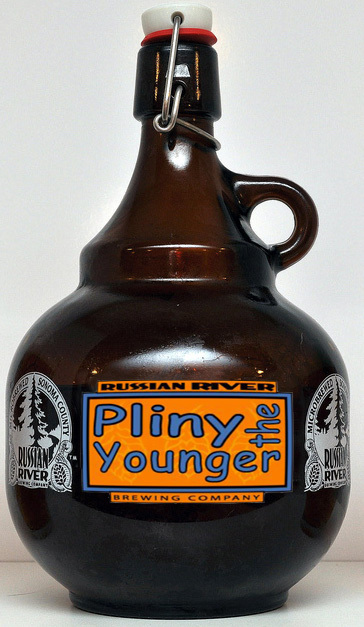 According to Rate Beer’s list of the world’s best overall beers Pliny the Younger is number 14 and Pliny the Elder is 23. Both Plinys have an overall score of 100 points. According to Beeradvocate both Plinys have 100 points. 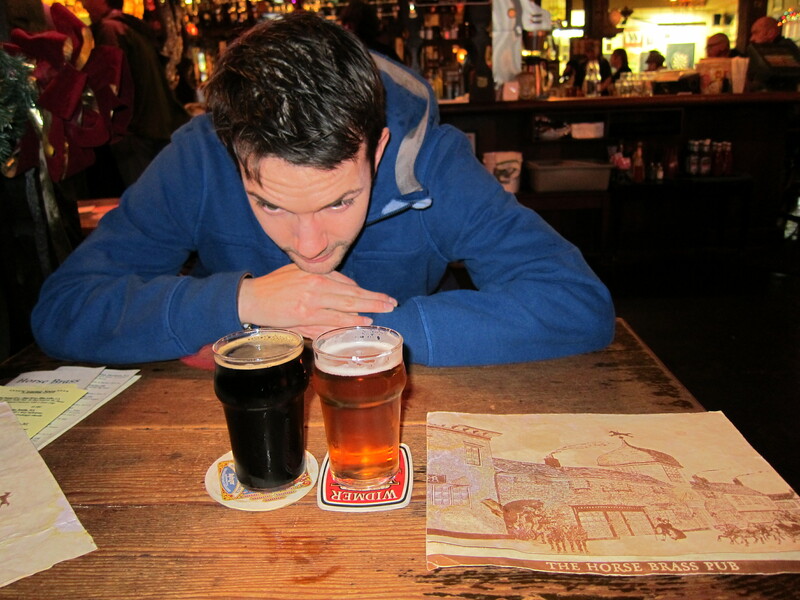 So another year ends marked by yet another trip to my favourite beer city Portland, Oregon. I visit so often that I worry one day I will become bored with the beer scene but this is just not the case and let me try to tell you why. 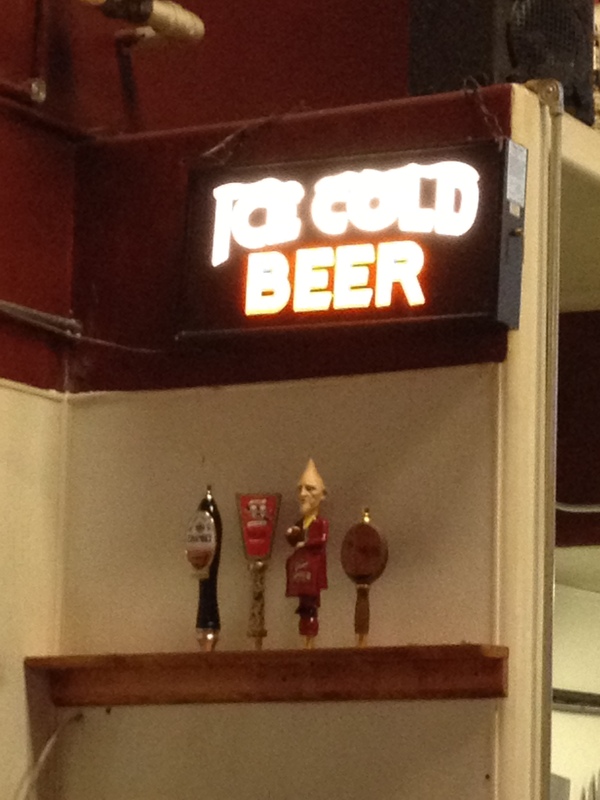 The Belmont Station Bier Café had both Don the Younger and Pliny the Elder from Russian River on tap. Don the Younger was especially exciting since it was brewed exclusively for the 35th Anniversary of the Horse Brass Pub. Don the Younger is a hoppy, lemony American Bitter with pine on the nose, large white head, lots of carbonation, sweet lemon mouthfeel and bitter aftertaste. 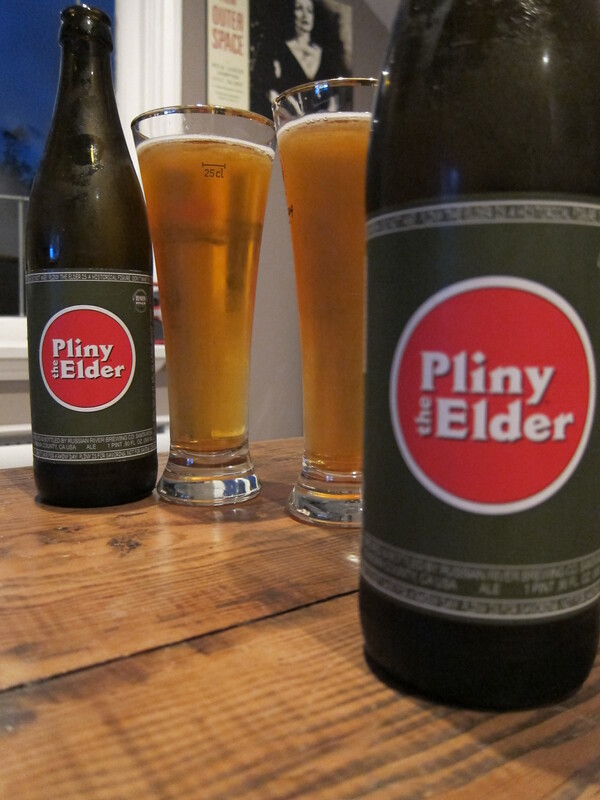 Finding Pliny the Elders to take home in the adjacent Belmont Station Beer Store was equally exciting. Visiting the Horse Brass Pub for the first time. Not the greatest menu unless you are a dyed-in-the-wool Brit (bangers and mash anyone?) but definitely a pub that knows their beer. Our server seemed shocked that we could even contemplate drinking in taster glasses (beer comes in something other than pint glasses?). Our server used to be a brewer himself so despite the many changes in beer availability he could offer a myriad of alternatives based on your taste preferences. 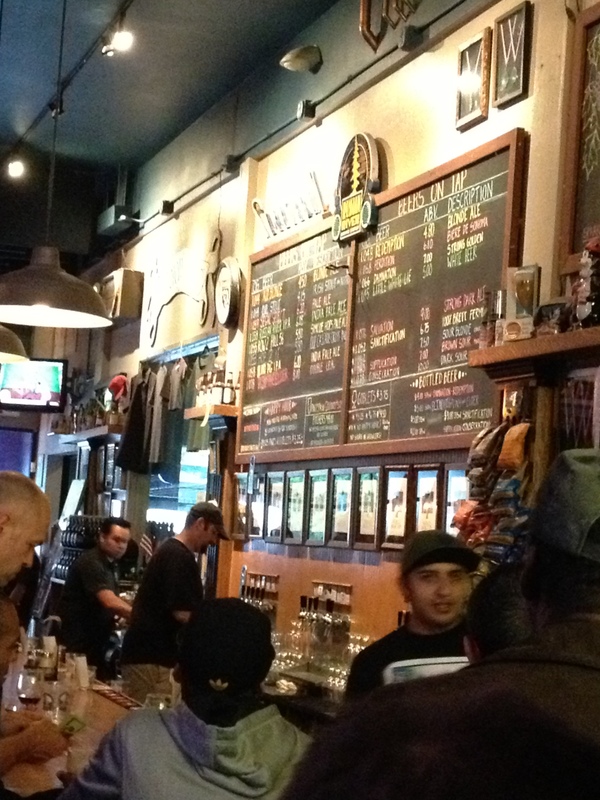 Did I mention more Russian River on tap? 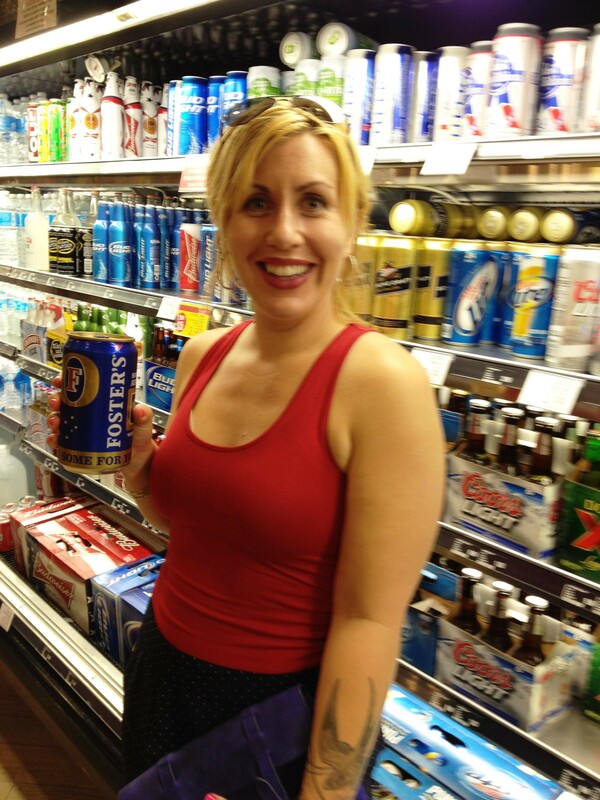 Beer Shopping. There are so many beer stores here but I swear there seems to be variation between them all. Loading up the trunk with a selection of hard to find (or impossible to find) ales to reinforce my beer stockpile is incredibly fulfilling. Stone and Russian River always top the shopping list but I also found a number of Oregon-unique ales like Hopworks Kolsch, Full Sail Imperial Porter and Rogue Double Chocolate Stout that made their way back across the border. Stone Levitation Ale and Stone/Dogfish/Victory Saison du Buff didn’t make it past the hotel room bar fridge. 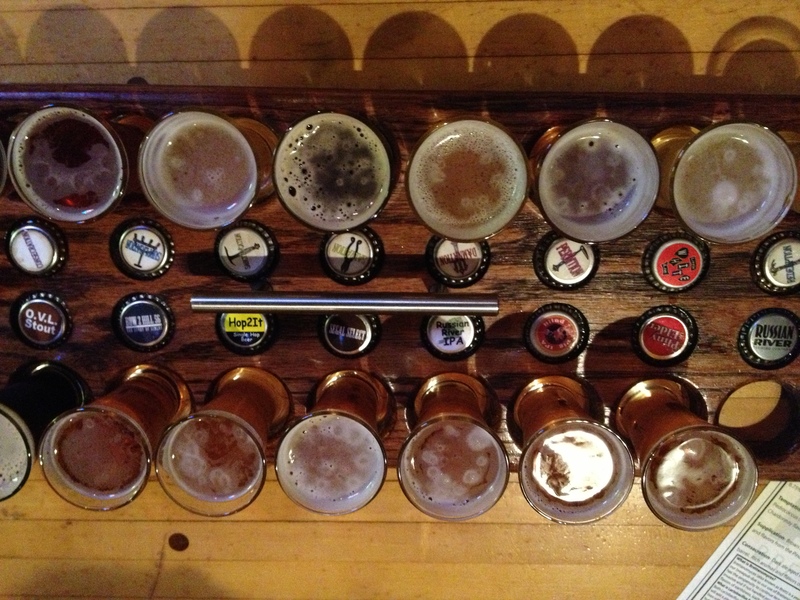 Drinking through a sampler tray at the BridgePort Brew Pub. Not my favourite beers of the trip but an amazing lively atmosphere at the brew pub, beautiful location in a brick heritage building in the Pearl District, and tons of inventive pub grub options at super reasonable prices especially during happy hour -tofu fries with spicy cashew dipping sauce? Vegan perfection. 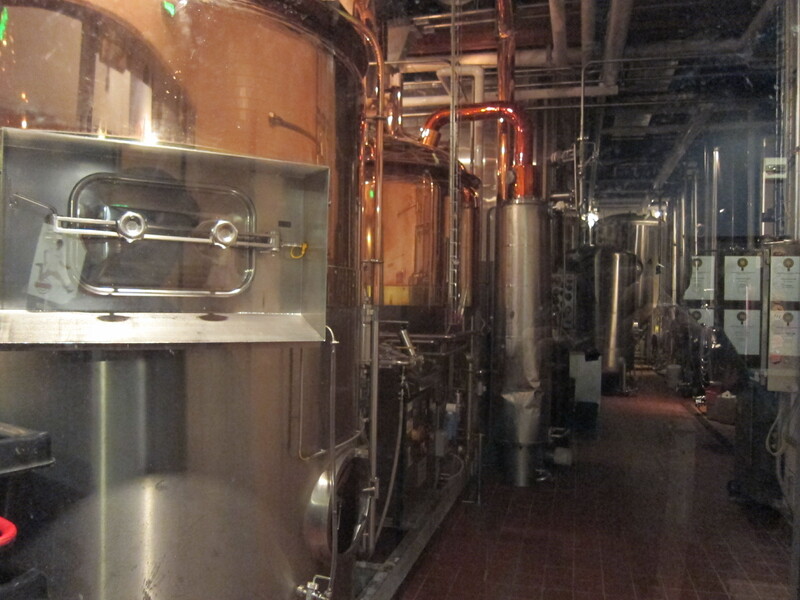 (Re)visiting Deschutes Brew Pub for consistently good beer and good food. The folks at Deschutes are constantly mixing it up in the beer front and this time around I got to sample their new Red Chair Ale (casked and regular), Orange Cream Ale, Menagerie Sour, Chainbreaker and Hop-u-py. The casked version of the Red Chair was the clear favourite of the night. Another great environment to drink in, always bustling, great location and incredible service. Here I first came across the concept of “nitro” beers; beers that change up the usual gas used for dispensing draft. Not sure I could tell the difference but the server swore it gave the beer a smoother taste. Bonus for the cool holiday decorations (see first picture in this post). I have a confession to make: when I am unsure about which new beer to try I often pick the one with the most creative label and conversely (and perhaps more detrimentally) I often avoid brewers with less-than-stellar aesthetic sensibilities. Despite how often we are plied with the euphemism to not judge a book by its cover we just darn go ahead and do it anyway. Part of this is necessity; if we were allowed to pour a sample glass before buying a bottle or can we could judge a beer using all of our available senses. But this is perhaps the fevered dream of an as-yet-unbuilt beer utopia… As such this post will be grounded in cold hard truths of reality and entirely devoted to some of my favourite beer labels. Amazing artwork. This label is truly a work of art in its own right. Simply Beautiful. I can’t even begin to say how much I loved this bottle when I first saw it. This reminds my of a Tim Burton sketch – a little bit gothic and a little bit modern. Clean and Simple but eye-catching at the same time. Really makes you want to pick up the bottle and read more. Like a 1920’s advert or a trippy Hitchcock image. Love the simplicity of this and the font used on the beer name. An Art Nouveau-esque entry from Montreal with a modern twist. Art Nouveau Label that marries well with the beer style. 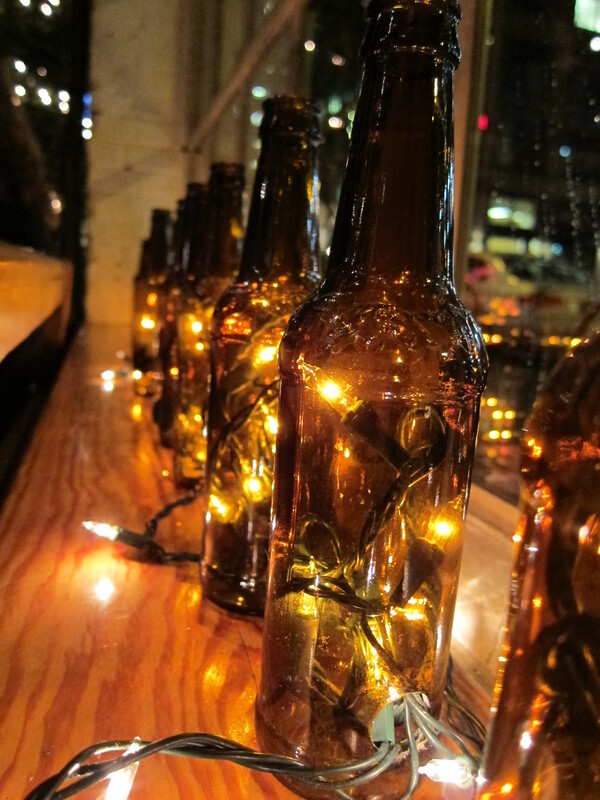 Stunning bottles. I love the idea of the bottle being the label, it is like a hand held work of art plus no sticky label goo. I love this whole series of medieval inspired labels and captions. Informative and attention getting. Love the logo interaction here; a great series of labels of Stone. Love this! Great colour combination, eye-catching design and it looks like it was born to be a beer mat. Art Deco-esque design and colour scheme but reminds me a little too much of those Klondike ice cream bars. Another Art Deco-esque use of colour and line that really works. Can’t help but be drawn to a bottle that mocks your beer drinking sensibilities. Makes me laugh every time …and a little sad at the same time. Pretty Things has this amazing continuity between their beer labels that is not overt but weaves beautiful fairy tale imagery throughout the line-up. Another Pretty Things label. This one reminds me of a page torn from an old book. Pink elephants on parade… need I say more? Like an all-star baseball line-up. These beers just shout Brooklyn at you. Totally awesome 80’s inspired graphics…how can you go wrong with Space Invaders? Looks like it should adorn a bootleg beer or be sipped whilst wearing a fedora in Havana. I love the grey scale and the pen-and-ink detailing. An effective use of fonts and spacing. There is something about these period labels that is very appealing to me. Incorporates many interesting elements while keeping the label easy to read. Oh yes this is another review of a Russian River ale. This time a round I sampled Damnation a bright golden ale that pours with a quickly dissipating head and lots of lacing lingering on the glass sides. This may be the closest thing they have to a lager of their line-up, an easy drinking not too strong, not too complex just right blend of malt and hops with subtle winter fruit notes – fig, currant, raisin kind of thing. Like the other Russians this beer could be called lively; the ale has lots of carbonation owing to the many bacteria fermenting away at the beer as it ages in the bottle and once you pour a glass it appears like your beer is literally alive in the glass. Okay so there are times where I begin to feel like a paid shill for Russian River Brewing BUT I cannot think of a bad to thing to say about any of their ales EXCEPT they do not produce and market extensively (but shoot I really kind of like that about them). 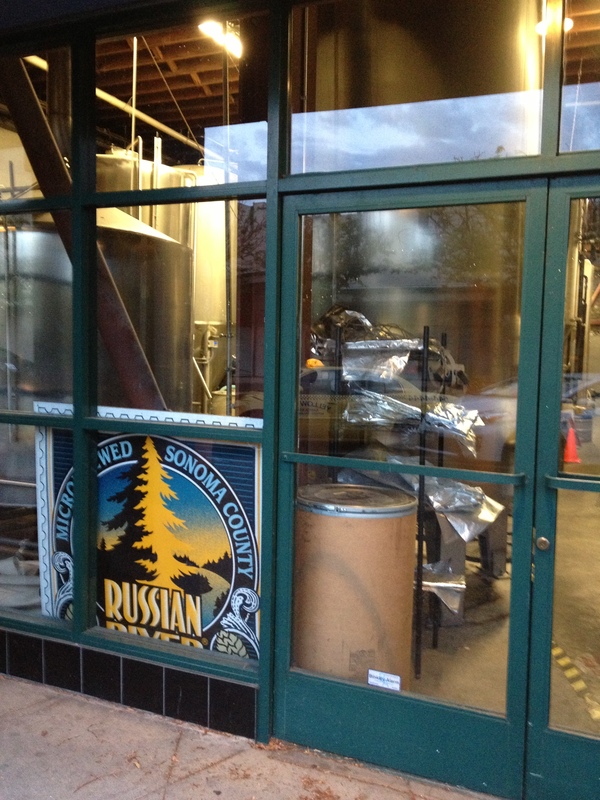 An Open Love Letter to Russian River Brewing Co.
How do I love thee? Let me count the ways… Okay so perhaps this is a touch melodramatic but I have developed a rather one-sided infatuation with Russian River Brewing Co. Reflecting back to an earlier review of Supplication, which I then proclaimed in earnest to be the best beer ever, I now must revisit this rather bold proclamation in light of the fact I have had the exquisite pleasure of sampling even more of Russian River’s line-up. At a local Whole Foods I found a bottle of Temptation (rather fitting for the tone of this review me thinks) blonde ale aged in French oak chardonnay barrels. Noticing my exuberant death grip on a bottle the nice beer guy let me in on a well-kept store secret, bottles of Pliny the Elder were tucked away in the back for VIP’s and beer connoisseurs. I had no idea what this beer was but I said I would take it; turns out Pliny the Elder is a double IPA. Finally, I picked myself up a bottle of Consecration, ale aged in oak barrels with currants added, to accompany me home to Canada. FYI – Pliny the Elder was a Roman author, naturalist and philosopher. 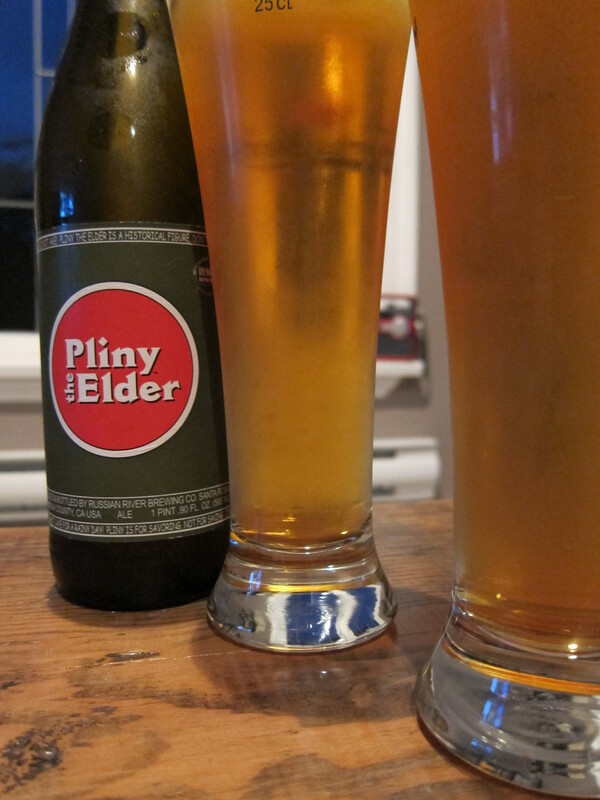 Out of a possible five I would give Pliny the Elder a 4.5, Temptation a permanent place in my home I mean a 5, and Consecration a 4.